How much might you be entitled to? Illnesses arising from bacterial infection caused by poor hygiene standards in hospitals and care homes, or through lack of screening and medical negligence, are particularly distressing and can have significant affects on the health of a patient. Wellers’ medical negligence solicitors work throughout Kent and Surrey and offer a free, no-obligation initial meeting to discuss your circumstances and whether a medical negligence claim is appropriate. Contact the team today on: 020 8290 7958 or email us. Alternatively fill in our short online form and we will contact you. A type of bacterium which is resistant to commonly used antibiotics and so is very hard to treat. MRSA can affect various body tissues and organs. Around a third of us carry the germ harmlessly, but when a vulnerable person, such as an elderly person or someone with a wound, is infected with MRSA, it can be extremely difficult to kill the bacteria and stop the infection. The symptoms will vary depending on which part of the body is infected, but generally there will be redness and swelling and the site of the infection may be warm to the touch, painful and contain pus. MRSA infection can also cause raised temperature (above 38C/100.4F), chills, aches and pains, dizziness and confusion. A ‘staph‘ bacterium which is susceptible to antibiotics so is more easily treated than MRSA. It is carried by around 50% of the population. MSSA is a common cause of localised skin and soft tissue infections or serious disease such as discitis, osteomylitis, septic arthritis, endocarditis, pneumonia and systemic sepsis. A bacterium which causes bowel infections and diarrhoea. Symptoms of ‘C. diff‘ usually occur when a patient is taking antibiotics or shortly after the course of treatment. Symptoms include watery and/or bloody diarrhoea, stomach cramps, nausea, dehydration (dry mouth, headaches and less frequent urination), high temperature (above 38C/100.4F), loss of appetite and weight loss. People over the age of 65 and those who have stayed in hospital are particularly susceptible to C. diff infections, as are those with weakened immune systems. In certain cases, C. difficile infection can cause serious damage to the bowel. Also sometimes known as the ‘flesh-eating disease‘ this is a bacterial infection which affects tissue (fascia) surrounding muscles, organs and under the skin. Although rare, necrotising fasciitis is serious because the bacteria release toxins which kill or ‘eat’ the tissue (necrosis). Early symptoms can easily be confused with flu, gastroenteritis and cellulitis; however, if not treated quickly, the infection can spread rapidly. Key symptoms of necrotising fasciitis include intense pain around a small scratch, wound or cut on the skin, high temperature and other flu-like symptoms. These may be followed by firmness, swelling and, redness around the painful area, diarrhoea and vomiting, and the appearance of dark blotches which become fluid-filled blisters on the skin. If the patient starts to feel confused, dizzy and weak this means the infection is spreading – emergency treatment should be sought immediately. Unfortunately, infection following surgery is a known risk of any invasive procedure and, in many cases, there will be no explanation as to how or why the infection occurred and where the bacteria emanated from. However, in cases where there is an obvious failure in infection control or hygiene standards, such as failure to sterilise equipment or to properly screen and isolate patients with infections, then a clinical negligence claim may be pursued. Such cases are, thankfully, becoming more infrequent, but worryingly, there are still a significant number of claims made each year in relation to healthcare professionals failing to identify and manage post-operative infection. Please see our page on “doctor failures” for more information. Without timely diagnosis and correct treatment sepsis (also sometimes incorrectly called septicaemia) is a potentially life threatening condition. When localised infection is encountered within the body the immune system produces white blood cells which attack the infection and prevent it spreading. This is known as inflammation. For anyone who has a weakened immune system or if the infection is particularly severe, this inflammation can spread quickly across the entire body, damaging tissue and affecting blood flow. When blood pressure drops there is a risk of organ failure and permanent tissue damage. There are a number of vulnerable groups who may be prone to sepsis including the very young and the elderly and those with known medical conditions such as diabetes and those being treated for HIV, leukaemia and cancer. People being treated in hospital following accidents or surgery, those who are being mechanically ventilated and those who have drips or catheters attached are also at risk of sepsis if they encounter bacteria whilst being treated. See our page on “delayed diagnosis” for more information on the accountability of healthcare professionals. Suing the NHS and making a medical negligence compensation claim against any doctor, surgeon or healthcare practitioner is a complex process and each case is unique. At Wellers we will provide you with a free no-obligation interview to establish the circumstances of your claim and consider the likelihood of success. Our medical negligence solicitors are members of the Association of Personal Injury Lawyers (APIL). Please note that we cannot offer Legal Aid, but we will be happy to discuss funding options including No Win No Fee agreements. 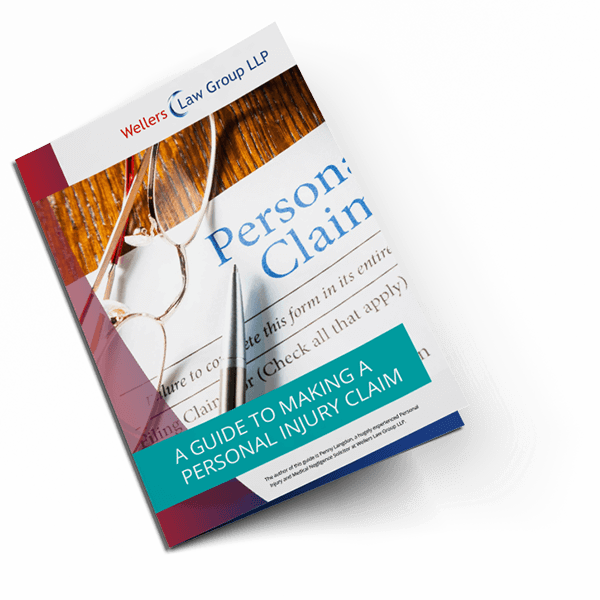 For professional and caring help with your medical negligence claim contact us on 0208 290 7958 and ask to speak to one of our personal injury lawyers or email Penny.Langdon@wellerslawgroup.com.